Mother's Day is just around the corner and not long to go now. 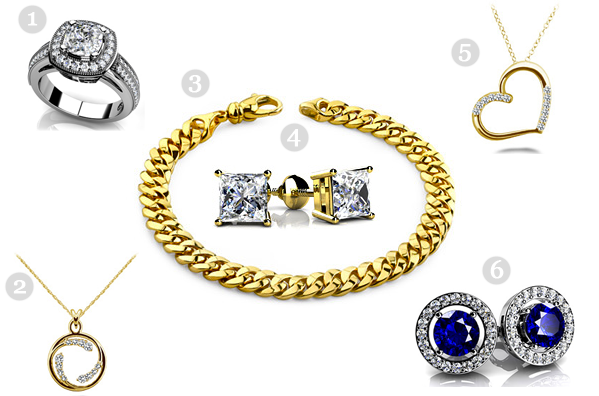 Some of us think Jewelry is the best choice in gifts. I remember just two years ago I treated my mum to a gorgeous 3 piece set from Swarovski which she adored. I thought of writing up a post of some gorgeous pieces from a lovely website called ANJOLEE. Anjolee has some lovely Bridal Sets Rings and is a jewelry website based in San Diego, California that sells gorgeous Diamond jewelry and other stone gems with necklaces, bracelets, earrings and so much more. 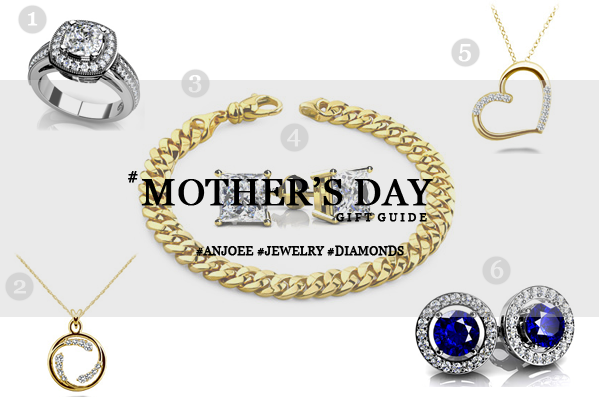 I picked out a couple of pieces that would be ideal for any mums who are into Gold or Silver Jewelry. 1. Vintage Inspired Cushion Cut Engagement Ring: This is one of my favourite pieces from their range, I love the vintage cut and if your mum deserves a new addition to her finger, this is bound to make her go crazy in love! 2. Circle of Love Diamond Pendant: This is gorgeous, I chose the gold pendant as it looked stunning, perfect for the young mum who is chic and simplistic. 3. Flat Braid Bracelet: This is a gorgeous gold bracelet that is "in fashion" at the moment. Looks perfect with any gold-toned watch and any white or black watch and jewelry. 4. Princess Cut Diamond 4-Prongs: I love simple earrings and these come in range of gemstones and even look gorgeous in gold. Simple and glamourous. 5. Diamond Detail Heart Pendant: Simple, Gold and Gorgeous. Such a pretty little gem that will be the heart to every mum out there. 6. Legendary Round Gemstone Stud Earrings: These gorgeous little platinum gold sapphire stud earrings are the creme de la creme and a shining star to every mum out there who loves blue. Every time i ask my mum to choose between colours including blue she always goes for Blue and without a doubt it's most stunning colour and tends to stand out when paired up with white clothing. Have you visited Anjolee.com yet? Share your thoughts and let me know in the comments below.